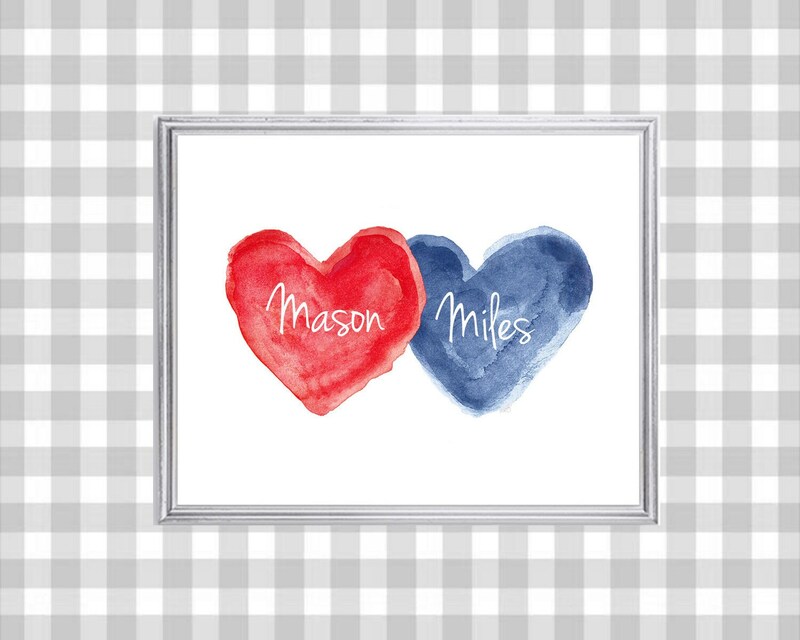 Personalized my navy and red hearts print with your special names. 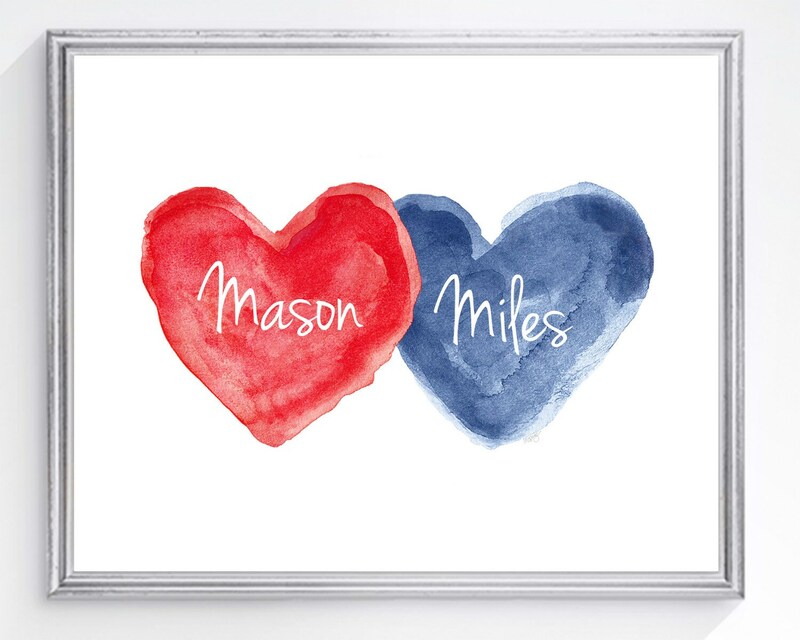 A great gift for brothers. Recreated from my original watercolor paintings. 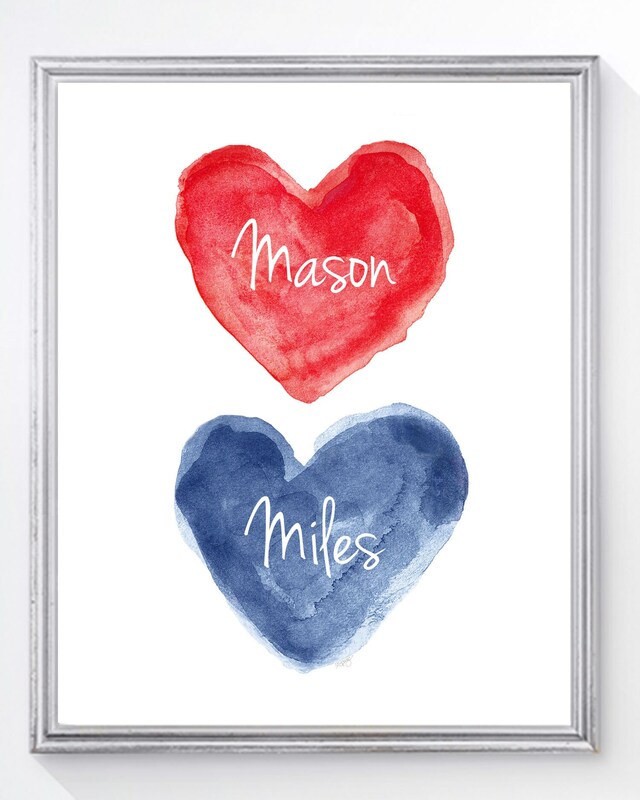 Please include the name in notes to seller at checkout and denote each name with each color heart.